Is It Heat Exhaustion or Pesticide Poisoning? Sometimes the symptoms of pesticide poisoning can be confused with other illnesses. Anyone who works with or near pesticides should be aware of the symptoms of pesticide poisoning. 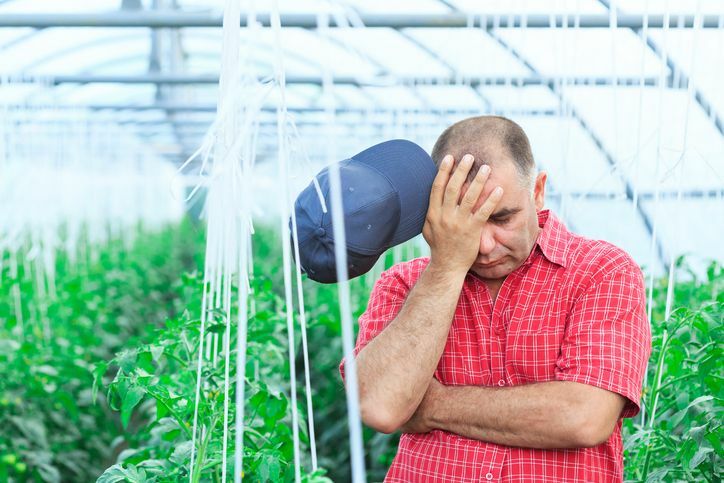 Pesticide applicators who work with organophosphate or carbamate insecticides in warm and hot conditions need to be especially aware of the difference between heat exhaustion and pesticide poisoning. It is not always easy to tell if a person is suffering from heat exhaustion or pesticide poisoning. The EPA has provided the following chart to help you compare symptoms. If pesticide poisoning is suspected call 911 immediately! Move the person out of the heat and into a shady or air-conditioned place. Lay the person down and elevate the legs and feet slightly. Remove tight or heavy clothing. Have the person drink cool water or other nonalcoholic beverage without caffeine. Cool the person by spraying or sponging with cool water and fanning. In either case, do not hesitate to seek medical attention. Call 911 if in doubt.